Gerlinger Hall, now in its 95th year, is getting the finishing touches on a $4.4 million renovation project that began last summer. Workers are now finishing the four stair tower roofs with copper, replacing the original metal siding, which proved too brittle to maintain, said Patrick Mucker, a project manager with Campus Planning, Design and Construction. Other renovation work included restoring the windows, brick and mortar; replacing deteriorated wood, gutters and downspouts; applying new paint; and other exterior work. While it has endured decades of weathering and normal wear and tear, the building has remained largely intact since its construction in 1921. Inside the building, workers are remodeling the first floor into studio space for use by the School of Architecture and Allied Arts, which should be completed in time for winter term, Mucker said. 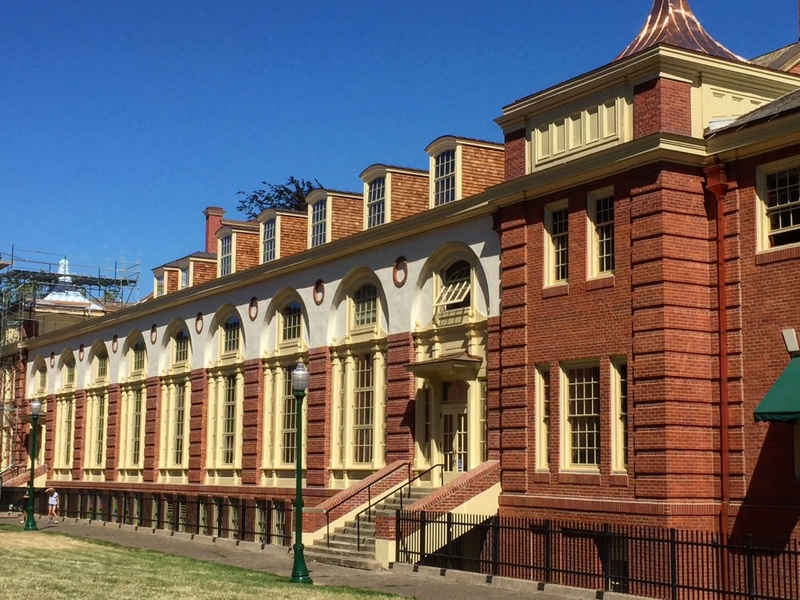 A beautiful example of classic Georgian architecture, the three-story building was named for the UO’s first woman regent, Irene Hazard Gerlinger. It boasts an ornate alumni hall and lounge, a cavernous gymnasium, sunlit galleries and several large classrooms. Gerlinger Hall, along with Susan Campbell Hall and Hendricks Hall — together, the Women’s Memorial Quadrangle Ensemble — was added to the National Register of Historic Places in October 1992. All work on Gerlinger was done in compliance with the historical guidelines set forth by the U.S. Heritage Preservation Services.